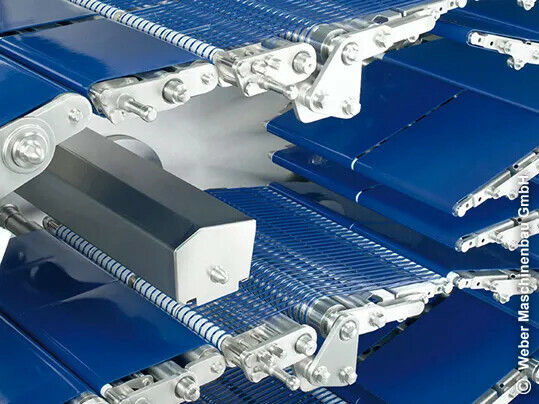 The new HighGrip belt with the designations UR 40U-12 FSTR blue FDA was initially developed for a manufacturer of slicers to cut slices of meat, sausage and cheese. It has a high level of chemical resistance to grease, oil and cleaning agents. It can also be used when UV-C disinfection equipment is applied. It’s an excellent alternative to the previously used silicone-coated belts which exhibited much poorer resistance to cleaning agents containing chlorine. Combined with the fine pattern, the High Grip functional layer offers ideal product grip, particularly in applications where exact product positioning, acceleration or braking plays a role. The new belt is FDA- and EU-compliant for conveying unpackaged foodstuffs. 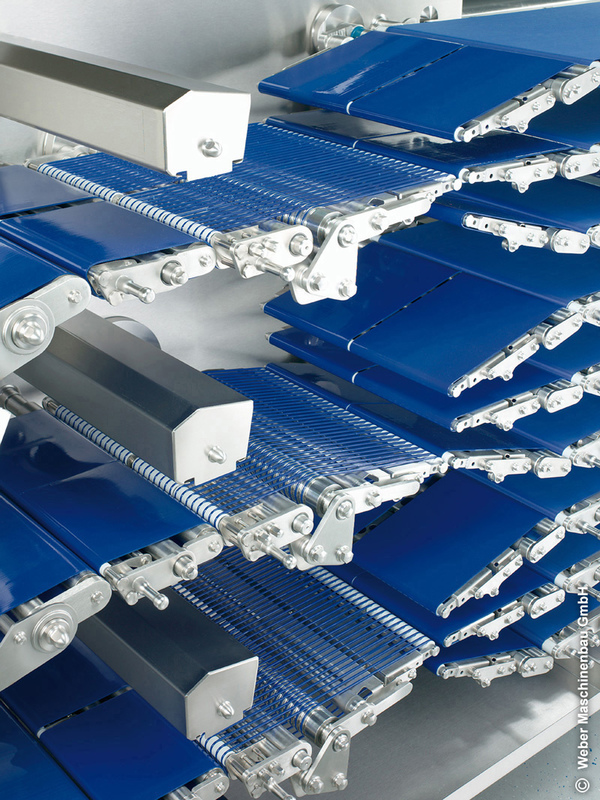 Furthermore it’s ideal for applications with short centre distances in the packaging industry.